A copy of The Bible signed by Albert Einstein could fetch up to $300,000 when it goes up for auction in New York later this month. The book is the only-known copy of the Bible bearing Einstein’s signature, and is amongst the leading lots in Sotheby’s ‘Geek Week’ of sales celebrating scientific achievement. The unique book also includes a highly revealing inscription by the German physicist, which offers a new insight into his personal views on religion. The Bible was originally offered at Bonhams in 2013 with a pre-sale estimate of just $1,500 – $2,500, but stunned experts as it soared to a final price of $68,500. The increasingly strong market for Albert Einstein memorabilia means it will now hit the block once more with an estimated value of $200,000 – $300,000. 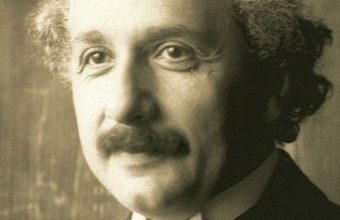 Between 1930 and 1932 Einstein spent three winters working at the California Institute of Technology in Pasadena as a visiting professor, before realizing he could never return to Germany under Nazi rule. 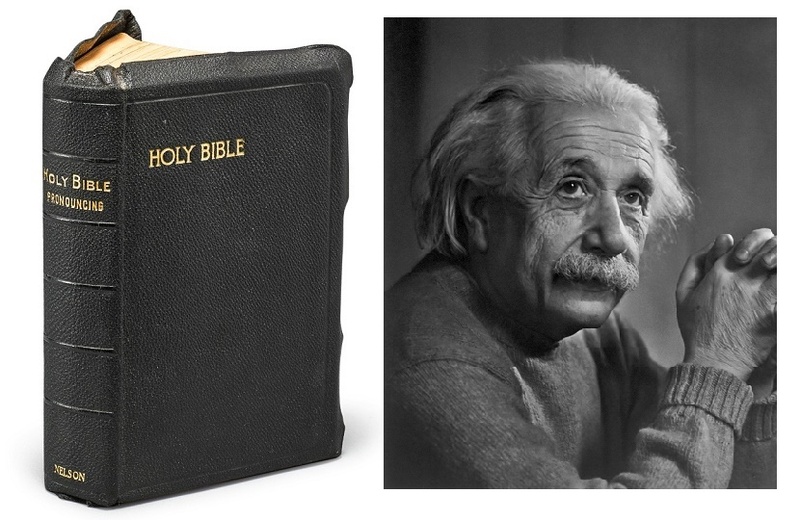 During a visit in March 1932 Einstein and his wife Elsa gifted the Bible to Harriet Hamilton, who is believed to have served as the couple’s secretary. 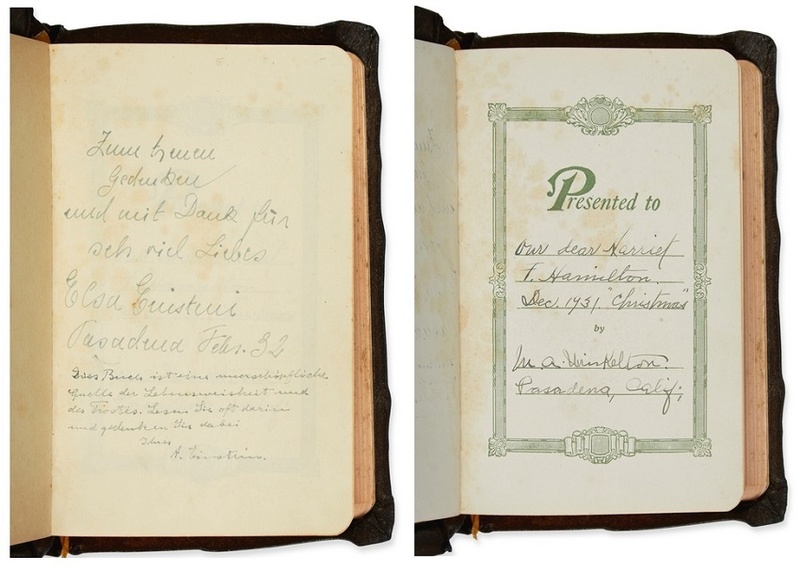 Einstein signed the book, and his inscription suggests he found much to value in the religious text. This sentiment flies in the face of the conventional wisdom, which paints Einstein as a man of science and a strict aetheist with little time for religion. “The word God is for me nothing more than the expression and product of human weakness, the Bible a collection of honorable, but still purely primitive, legends which are nevertheless pretty childish. 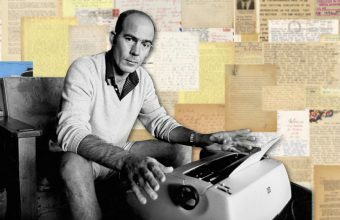 That famous letter is heading for auction at Christie’s in New York on December 4, where it’s expected to achieve a price of up to $1.5 million. The truth about Albert Einstein’s religious beliefs seem to lie somewhere in the middle of these two opposing viewpoints, each symbolized by a unique (and valuable) artifact. Although he aligned himself with non-religious humanist groups and claimed he didn’t believe in the idea of a personal God, he also described himself as “agnostic”, or a “deeply religious nonbeliever”. As a man of science and logic Einstein refuted the idea of an afterlife, stating “one life is enough for me”. But as a staunch believer in pacifism and tolerance, it’s likely he also found some lessons in the Bible to hold value alongside his own more grounded world view. 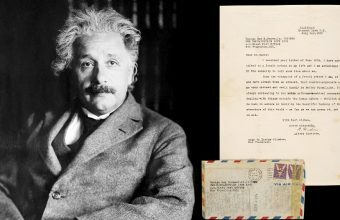 Albert Einstein’s God letter to reach $1.5m?